Nearly all famous Danish composers have set some of Andersen’s texts to music. This also applies to prominent names such as C.E.F. Weyse and Carl Nielsen. Weyse represents the generation before Andersen and in Andersen’s youth almost acted as his benefactor. Andersen therefore collaborated with him at an early stage – practically on the composer’s terms. The result was the ballad opera The Kenilworth Festival, from which we also know today at least one of the songs, “The shepherd pastures his sheep”. 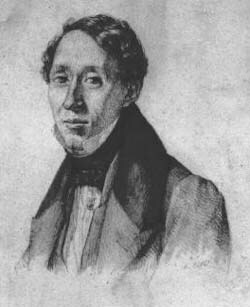 When composers have set Andersen’s texts to music they have often chosen a finished work such as a poem or a drama. But in the case of The Kenilworth Festival it was almost the reverse. The text developed in collaboration with the composer and to a large extent according to his wishes. Andersen was therefore not entirely satisfied with the final result and decided only to publish the songs. They were on sale in the shops only a week after the première. Andersen based his ballad opera on Sir Walter Scott’s novel Kenilworth (1821, translated into Danish in 1824–25). Andersen had also earlier let himself be inspired by the Scottish author, namely in 1830–31, when his ballad opera The Bride of Lammermoor was written, with music by the composer and orchestra leader Ivar Bredal. It was first performed on 5th May 1832 at a time when Andersen was already busy on his adaptation of another Scott novel, Kenilworth. The composer C.E.F. Weyse was among the audience at the first performance of The Bride of Lammermoor, but he must have seen the text some time before. At all events he was quite satisfied with Andersen’s treatment of the subject and the original text. He therefore approached Andersen, because he had been wanting to compose an opera based on Scott’s novel for a long time. Actually Johan Ludvig Heiberg had first been asked to supply this text, but never started on it. “I had no idea what a storm would overwhelm me in meeting the composer’s wishes” wrote Andersen in Mit Livs Eventyr (The Story of My Life) but his financial situation (combined with both humility and a sense of gratitude towards Weyse) caused him to accept. The work was completed during the spring of 1832, and Andersen was actually on the point of giving up, because he had been accused in various quarters of mutilating “one work of art after another”. But Weyse encouraged him to continue working on it and himself went ahead with the composition. Andersen wrote, amongst other things, that he revised the finale in Act II at least three times for Weyse’s sake, but on the other hand the cast was clear in his mind by the end of May 1832. Andersen submitted the text to the Royal Theatre on 22nd June 1832. Edvard Collin wrote to him at the beginning of August because he was interested in hearing whether the Theatre had reacted, and continued: “I haven’t managed to talk to Weyse about the music; he spends a lot of time in Roskilde, and I don’t suppose he does much composing there...”. It was not until September that Andersen received negative opinions expressed by the Royal Theatre’s board of directors, who asked him to revise the text considerably. He agreed to this, and subsequently it was accepted in March 1833. The following month and until August 1834 Andersen was travelling round Europe, but he was kept informed about Weyse’s work through his correspondence with his friend Henriette Wulff. Weyse had difficulty in finding the time to compose, and when Andersen returned to Denmark Weyse had only got as far as with the music as the conclusion of Act II. In December Weyse himself was able to report that he was working on “Minstrellens Romance” which was how he referred to the song “The shepherd pastures his sheep”. But not until 16th March 1835 was Andersen able to report that the composer had almost finished. At the same time the composer changed the text wherever he chose to do so. One of the most important changes to Scott’s text was that the sad ending was turned into a happy one, and in addition Weyse wanted to have as many of the characters in the novel on the stage as possible. While Andersen was away, quite a lot was changed in the text, and here Weyse was helped by his friend, the author and lawyer Frantz Johannes Hansen, who had also written quite a lot of poetry and some music. It is very typical that Weyse, in a letter written in December 1834, refers to one of Andersen’s choruses in the text and adds: “Qu’en dites vous? Aren’t these nice sentiments? And especially true, poetically. – Enfin, I asked Hansen to let the people sing something more sensible...” So it is understandable that Andersen in the end was not satisfied, but almost gave up and let Weyse decide out of respect for the older artist. It was not until 22nd July 1835 that the composer was able to put the completion date on his music MS – in three thick volumes corresponding to the ballad opera’s three acts (though the copy for use in the theatre gives the final date as 27th July). It was rehearsed in the autumn of 1835 and subsequently had its première at the Royal Theatre on 6th January 1836 with a fine cast that included the soprano Christine Zrza and the tenors L.F. Sahlertz and Christian Faaborg. The romance “The shepherd pastures his sheep” could be heard at the end of Act II, where ‘a minstrel’ sings, accompanied by a choral refrain. This part was played by the 18-year-old soprano Louise Sahlgren, who later specialized in playing boy parts. But after the first performance Weyse, as we can see from his letters, again wanted to make some changes, which did not suit Andersen, who was keen to go ahead with new projects. As he tells us in Mit Livs Eventyr, “I have only had the songs in it printed. Two of these have become well-known in people’s homes because of the music, namely “Brødre, meget langt herfra!” (“Brothers, far away from here!”) and “The shepherd pastures his sheep”. He could hardly recognize the actual text. Even though the opera was quite well received, there were only seven performances, one of them on Weyse’s birthday, 5th March 1836. On the other hand this performance became momentous in another way. Many of Weyse’s friends were present in the theatre, where the general mood was most exhilarated, and they soon realized that The Kenilworth Festival and similar works would soon fade out of the cultural scene in Denmark when they were no longer performed, and a number of them therefore took the initiative to found a Music Society, whose original aim was to publish and in other ways preserve Danish music. The society became the leading concert institution in Copenhagen during the nineteenth century and Andersen immediately became a member. Because of its great popularity, the song “The shepherd pastures his sheep” together with “Brothers, far away from here!” and some of the instrumental music was published for singing with accompaniment in the same year as the première. But the rest of the music had to wait right until 1877, when the Society for the Publication of Danish Music printed a piano arrangement in their series of publications edited by the composers Axel Liebmann and Otto Malling. The actual text was first published in its entirety in Andersen’s Collected Works in 1876. However, the overture to The Kenilworth Festival is one of Weyse’s best known pieces of instrumental music and was also performed well into the twentieth century in concert halls independently of its dramatic context. The plans for publication of a piano arrangement prompted Andersen to make yet another revision of the text in January/February 1875. He wrote to Countess Friis-Frijsenborg: “The dialogue is too long and involved for our times, so I shall shorten it and revise it in the form of recitatives”. In doing so he collaborated with Axel Liebmann, who was to set the text of these recitatives to music. Andersen only managed to complete Act I on 25th February 1875, but he indicated precisely which of the Theatre’s singers were to be in the cast of a new production. Liebmann’s recitative music has not been preserved – perhaps he never managed to write it, knowing that the project was probably rather doubtful. Hans Christian Andersen, drawing made by Adam August Müller c. 1832–33, when Andersen was working on his adaptation of Sir Walter Scott’s novel Kenilworth. 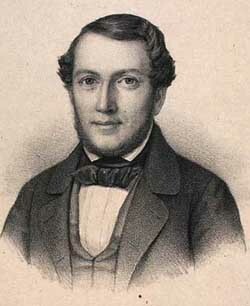 The writer and jurist Frantz Johannes Hansen had matriculated in 1828 together with Andersen and the very next year published a small periodical to which Andersen also contributed. He wrote poems, short stories and a few dramatic works and badly wanted to get closer to an artistic environment instead of the legal world. 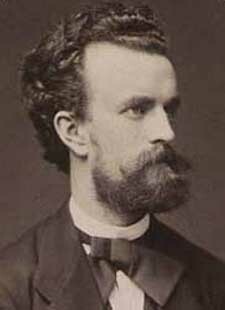 The composer Axel Liebmann (1849–1876) contributed to making the piano arrangement of all Weyse’s music for The Kenilworth Festival, which was published in 1877. In 1875, when the plans were put forward, the proposal had already been made that he should collaborate with Andersen on composing the music for the recitative texts Andersen had inserted so that the text could become a proper opera. However, nothing of Liebmann’s recitative music has been preserved – perhaps he decided to wait and see and never composed it at all.